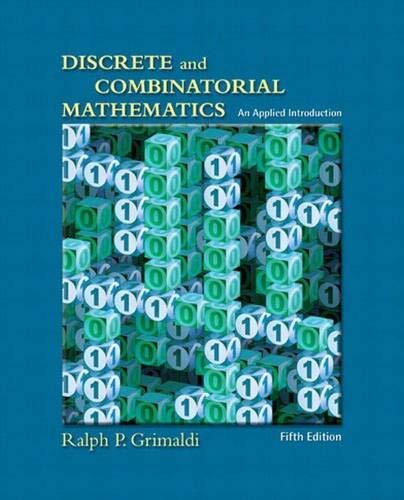 [PDF] Discrete and Combinatorial Mathematics: An Applied Introduction, Fifth Edition | Free eBooks Download - EBOOKEE! Description: This fifth edition continues to improve on the features that have made it the market leader. The text offers a flexible organization, enabling instructors to adapt the book to their particular courses. The book is both complete and careful, and it continues to maintain its emphasis on algorithms and applications. Excellent exercise sets allow students to perfect skills as they practice. This new edition continues to feature numerous computer science applications-making this the ideal text for preparing students for advanced study. No comments for "[PDF] Discrete and Combinatorial Mathematics: An Applied Introduction, Fifth Edition".